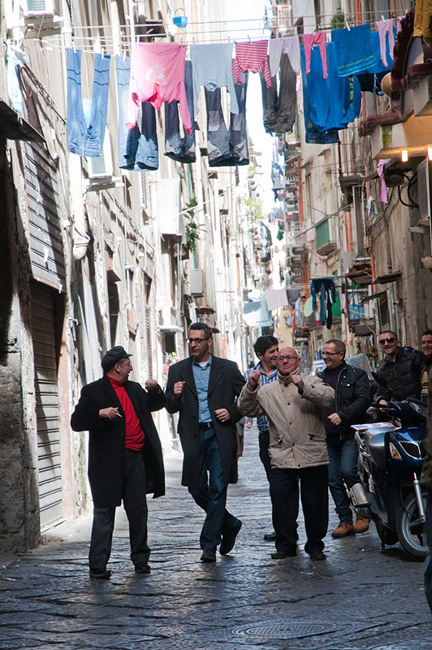 One of my favorite neighborhoods on earth is the Spanish Quarter in Naples. 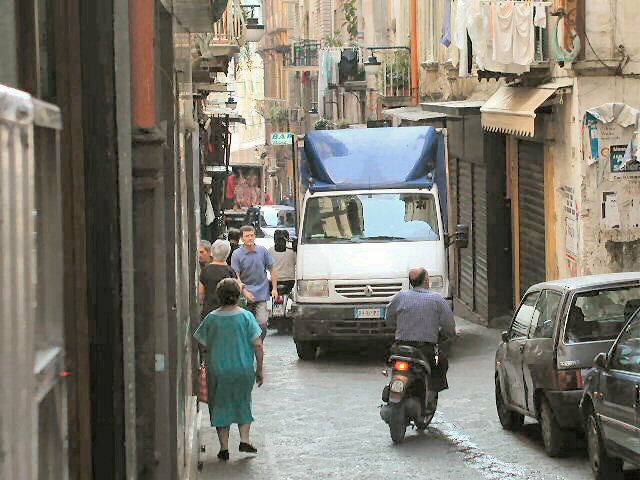 Narrow alleys decorated with laundry, signoras on balconies in housecoats, vespas roaring by, the smells of rich ragu…There’s an intimacy here in this working class neighborhood where so much action–love affairs, arguments, jokes, happen right out in the open, right before my eyes. 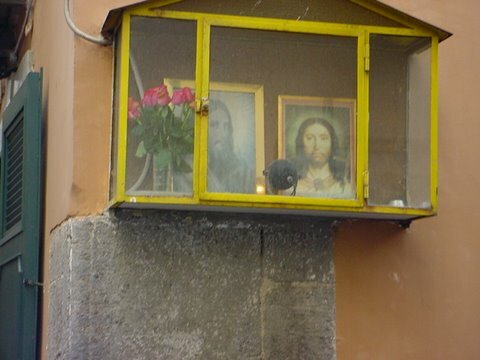 I walk past altars put up for someone’s mamma, street level doors open to family kitchens, and my eyes meet a signorina as she stirs at the stove. Often tables from those kitchens are simply moved out to the street–so what I thought at first must be a great family restaurant, is actually simply a great family dining al fresco outside their front door, giving me a smile as I pass by. 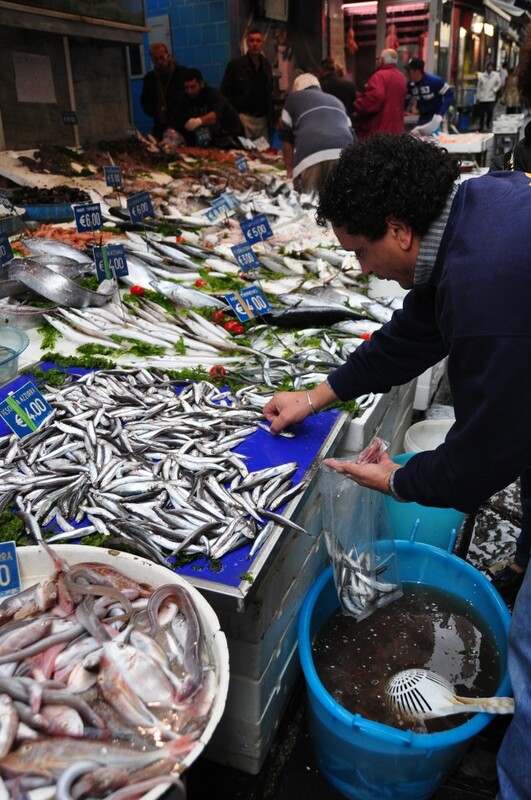 I love starting the day at Pignasecca Market–buckets full of glistening fish, baskets overflowing with friarielli, those tasty bitter greens, and big, full operatic voices all around. Panificio Vincenzo Coppola (Via Pignasecca 35) is a favorite stop for taralle, studded with almonds. 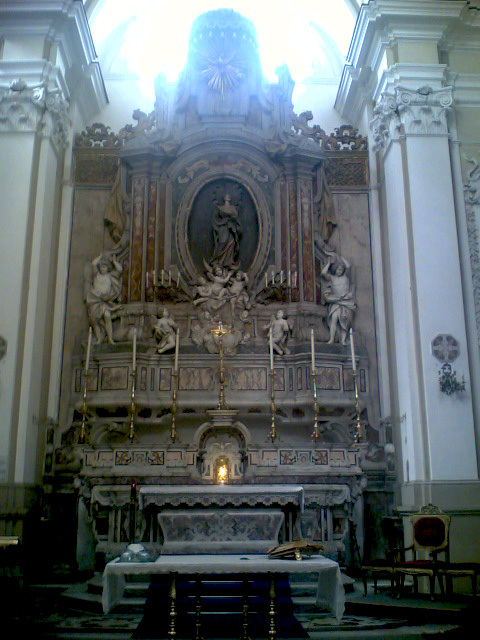 Then to slip into the Santa Maria della Concezione a Montecalvario and light a candle…ah, the drama! Lunch at Trattoria Nennella (Vico Lungo Teatro Nuovo 103, closed Sun). I’ve never seen a menu here. 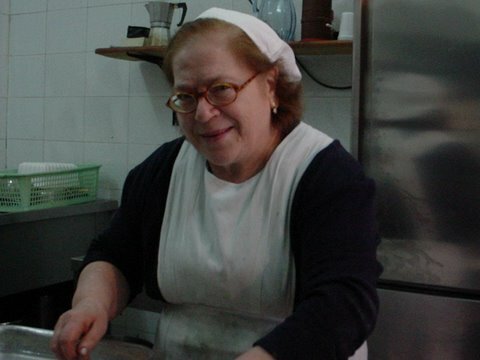 Nennella’s son bellows out what mamma’s cooking–from lasagna to gnocchi alla sorrentina. It’s homey and delicious and there’s always going to be a laugh watching this family in action. 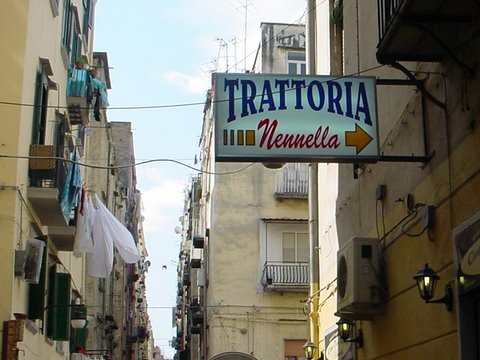 Nearby–the next street over–is a place where I’ve had one of the best lasagnas in my life: Osteria Rosa dei Venti (Vico Lungo del Gelso 110). And friends have raved about Hotel Il Convento, a 3-star that’s smack in the midst of this divine neighborhood. Grazie to John Tuturro for his great documentary that celebrates the music of Naples, Passione. So much of it is shot in the Spanish Quarter. I’ve been re-watching it on YouTube lately, loving the faces that look so familiar, the glimpse of the doorway of an apartment I once rented on the Via Concezione a Montecalvario. It all makes me hungry. Susan–What a great peek into your Naples! I have a love-hate relationship with the city after a couple of visits (experienced as a woman traveling sola), but I have a love-love-love relationship with the tiny island just off the coast called Procida (the set for Il Postino). It looks and feels like Naples to some extent, and it’s really safe for women (and pretty much devoid of those life-threatening motorini). A wonderful place for photographers, by the way. Grazie for bringing up Procidia. It is a real gem–I have a Neapolitan gal friend who has a house there–she prefers it to Capri and Ischia, which she says are too touristy. Hi Susan. I enjoyed the way youve written this post. Would love to go there one day. Beautiful indeed. 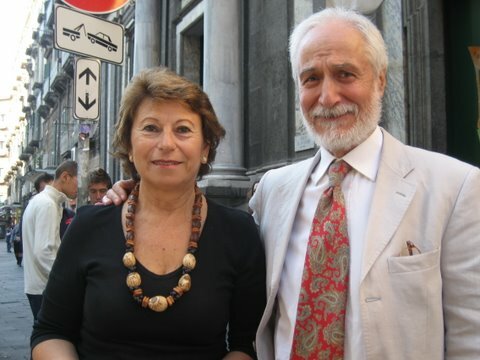 Si Barbara! It has the Best Vibe! Susan, thank you for this post. I love the Spanish Quarter in Naples. When you’re there, you really feel like going back in time, wouldn’t you agree? The old South we know from movies just still lives on its streets. Beautiful!